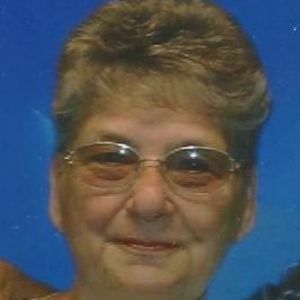 CENTRAL CITY - Eva Faye Blizzard, 78, of Central City, died Tuesday, January 24, 2017, at 3:59PM at Baptist Health in Madisonville. Mrs. Blizzard was born May 19, 1938, in Muhlenberg County. She was a homemaker and member of New Harmony Baptist Church. She was preceded in death by her husband, James "Fuzz" Blizzard; and parents, Johnny and Eva "Pinkie" Woodall. She is survived by her daughter, Phyllis (Lawrence) Richardson of Greenville and granddaughter Cheyanne Richardson of Greenville. Funeral services will be Friday, January 27, 2017, at 10:30AM at Tucker Funeral Home in Central City, with Rev. Dan Yeager officiating, assisted by Rev. Curtis McGehee. Burial in Cedar Grove Cemetery. Visitation will be Thursday after 5:00PM at the funeral home. Online condolences may be made at www.tuckerfuneralhomes.com. So sorry to hear about Eva's passing. Carol and I always enjoyed her and Fuzzy so much. We will be thinking of you all during this time. PHYLLIS AND FAMILY, I AM SO SORRY TO HEAR OF EVA'S PASSING. MY THOUGHT'S AND PRAYERS ARE WITH YOU AS YOU PLACE YOUR MOM TO REST. WE HAVE TO BE OUT OF TOWN THURSDAY AND FRIDAY. PLEASE KNOW YOU'RE IN OUR THOUGHTS. LOVE YOU MY FRIEND.